Bodhi Tree [review] - bringing tasty Asian-inspired dishes from Huntington Beach to the masses! Vegan Pizza [review] - cuz I am always craving their corn dogs and rarely get up to visit them in Garden Grove! Plant Food for People - oh gawd I hope they have their torta, but I can always count on them for crazy good tacos straight from LA! Sage Organic Bistro - they always have amazing stuff...can't wait to see what they prepare for this event! Southern Fried Vegan - chick'n and waffles, please! Au Lac [review] - elevating the festival game with their beautiful food. The Shugah Mamma - I need some autumn treats and I'm sure this sugar mama can deliver! They also have non-food vendors that will have apparel, skin and body care products, home decor, and more! Lots of great non-profit organizations will have booths there as well, including Animal Protection and Rescue League, Barks of Love, Mercy for Animals, etc. Also, a lot of brands like Daiya, Gardein, Field Roast, etc. will be there and I'm sure they will have coupons and perhaps freebies! Not to mention the guest speakers/chefs that will be featured, including cooking demos by Tanya Petrovna (original chef of Native Foods), Joni Marie Newman (author of so many awesome vegan cookbooks! ), JL Fields (vegan author), and so many more! You can find a full list of vendors, speakers, cooking demos, etc. on SoCal VegFest's website! Who are you most looking forward to seeing? 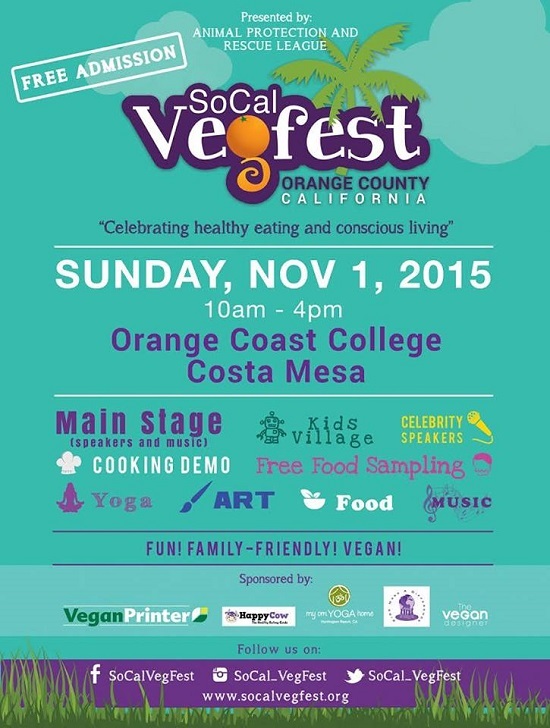 I'm hoping I can drag myself out of bed Sunday morning so I can hit up SoCal VegFest! Again, it is at Orange County College in Costa Mesa on Sunday, November 1st and goes from 10AM to 4PM. Come out and support this wonderful event and support the OC veg community! 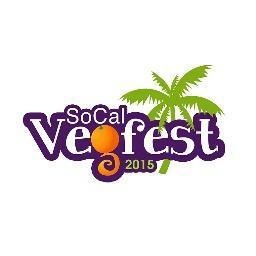 You can find more info via SoCal VegFest's website, Facebook, Twitter, and Instagram!